What has four wheels and the license to provide absolute fun? Taking a ride with a Funmobil like a buggy around the streets of Gran Canaria, is on the first page of many a wish lists. Take the chance to do on vacation what is rarely possible at home. Eating dust and dirt you will drive through the prairie when riding a buggy on Gran Canaria. 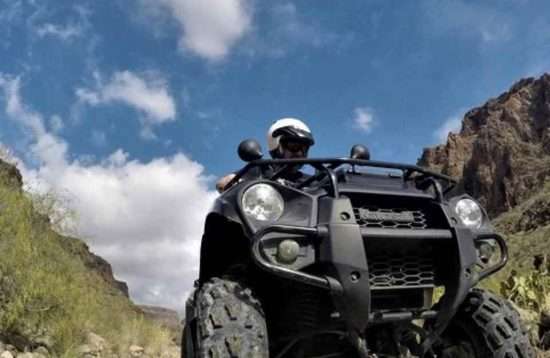 You also can get to know Gran Canaria from its raw and unpaved side for example by quad tours. 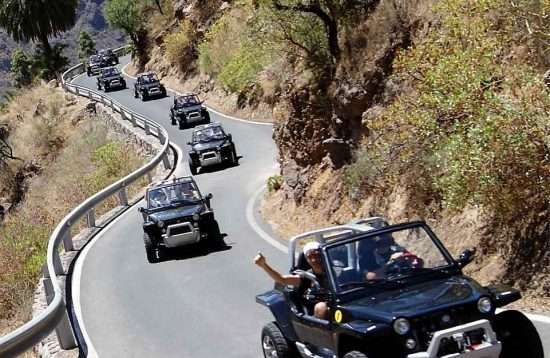 And if you prefer a more comfortable way instead and want to enjoy panoramic views, it is recommendable to explore Gran Canaria with a small two-seater 4 x 4 cabrio. 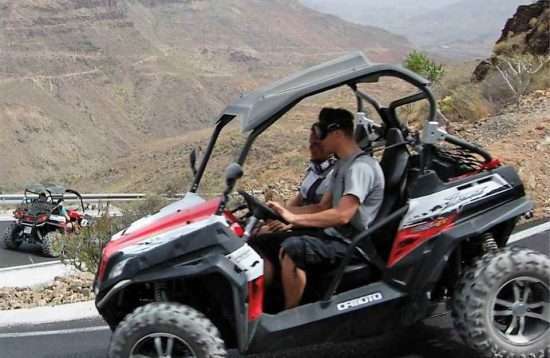 Join a Gran Canaria buggy tour! These all-wheel-drive little monster vehicles bring out your petrol-infused instincts. The only thing you need is your driver's license. Participating in a buggy safari on Gran Canaria does not mean dulling in line with the others following the guide. Of course, you must follow the line and your guide, but the tight curves, want you to feel their centrifugal forces. 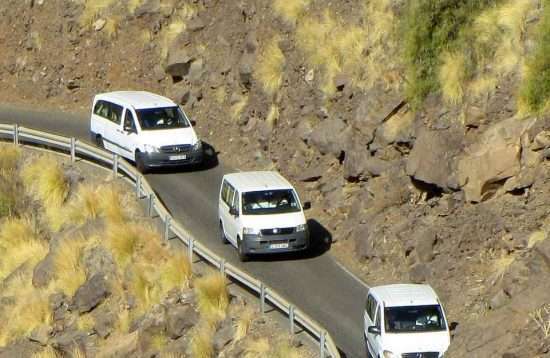 And during your encounter with the rougher part of Gran Canaria on the off-road part, you can hardly avoid spinning wheels and a few small drifts in the curves. You'll soon realize that you simply belong to the Buggy Pirates Gran Canaria. The buggy tour starts at Maspalomas and thus very close to the tourist center of Gran Canaria. 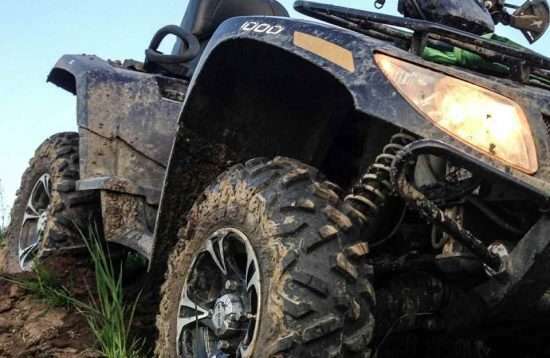 Many think that a quad bike is simply a four-wheeled motorcycle. But the reality is far from that. 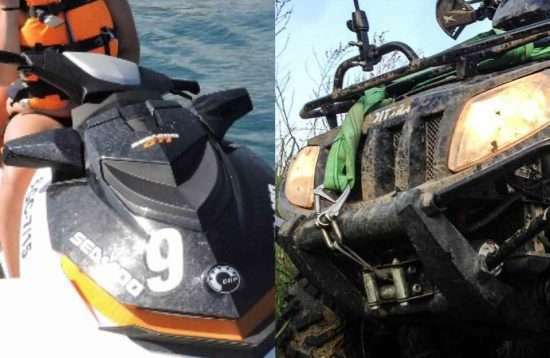 The handling and the driving experience is absolutely unique when quad biking. It does not drive like a motorcycle, but not like a car either. Due to the necessary ground clearance, the center of gravity is very high. If you are not sitting correctly on the quad bike or driving too fast into a curve, you can tip over quickly with a quad. Therefore, when driving through a curve you must change the center of gravity of the quad through the displacement of your body. That means that, depending on the direction of the curve, you must bend your upper body to the left or to the right. 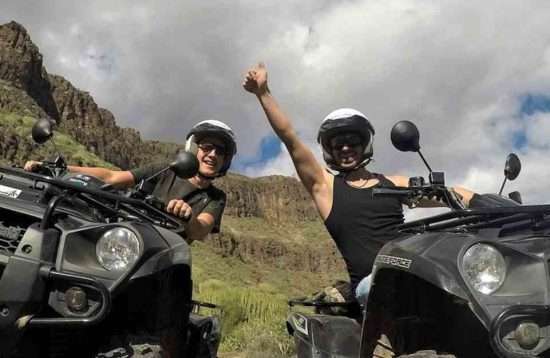 You don’t need any previous driving experience however your driving skills, for this lively vehicle are being checked by the organizer for safety reasons before you drive quad safari on Gran Canaria. If you've been on a Quad safari before, you know that the factor fun is guaranteed. And again, a tour means producing dust, pushing adrenaline and just having fun. 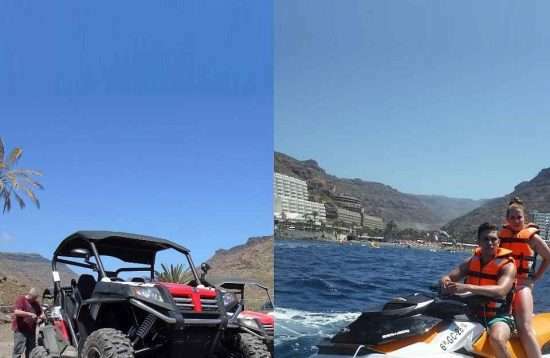 So do not miss out on the Quad Gran Canaria. You want to experience Gran Canaria with a convertible? You now have the opportunity to do it in a very special way. You will get into a type convertible that you most like have not seen before. It is small, two-seated and has four-wheel drive. From the outside, it reminds a little of a jeep. You cannot hire a vehicle like that individually. They exclusively take part in a guided convertible tour. The guides know their way around and have almost inexhaustible information about the country and people of Gran Canaria. 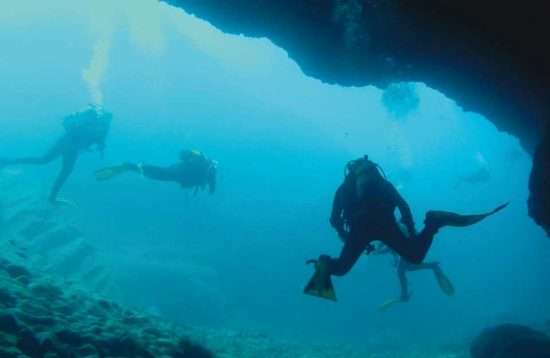 Far from Playa del Inglés or Puerto Rico, they take you to areas of the island that you would not have seen otherwise. Beautiful reservoirs surrounded by tall pine trees, massive, towering monoliths, the remains of former volcanic chimneys and you will find sleepy, little typical Canarian villages along the road. This will be a wonderful day with plenty of new impressions that you will not forget soon. 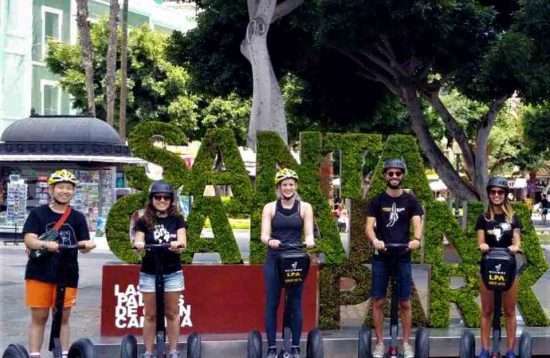 On the day of the excursion you will be picked up by the organizer on the road just in front of your hotel and driven to the outdoor center in Maspalomas near Playa del Ingles. This service is included in the price. Once you have arrived, you will first pay the outstanding balance and then be distributed quickly to the vehicles. The vehicles are two-seater (driver and co-driver). You will get the opportunity to change the driver during the tour if you wish to. You will then get an introduction by the trained personnel in the handling of the very easy-to-drive vehicles and this is when the fun starts. Just follow your guide! Take a drive into the absolutely impressive mountain world of Gran Canaria. Through the spectacular canyons of the impressive mountain panoramas, over serpentines through countless curves up to viewpoints whose breathtaking views you won’t forget. Get to know the volcanic landscape in the interior, sleepy mountain villages and the unspoilt nature of this Canary Island. After your excursion, you will have the possibility to purchase a DVD with the impressions of your day trip, which will be delivered to the reception of your hotel. The participants from the area around Playa del Inglés, Maspalomas and San Agustin will be returned to your hotel on request. And the guests from Arguineguin, Puerto Rico, Amadore, Mogan and surroundings are taken to the bus stop. Return by public bus at your own expense.